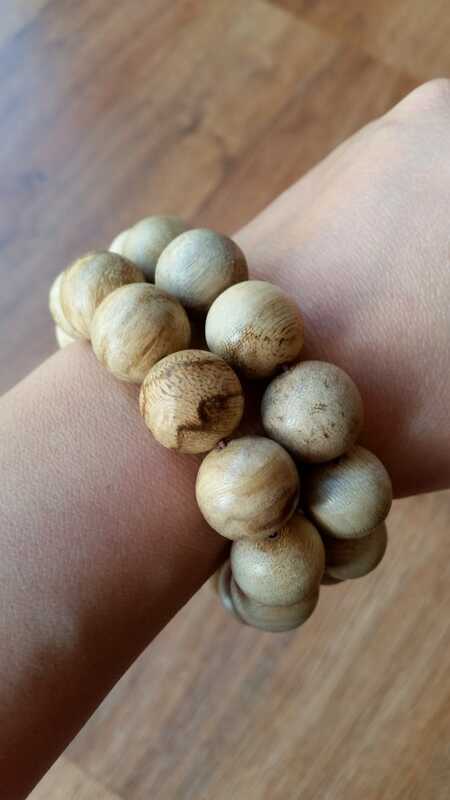 Made from natural / wild Malinau (Borneo/Kalimantan, Indonesia) agarwood. These bracelets are handmade from natural (wild from the jungle) Malinau agarwood. 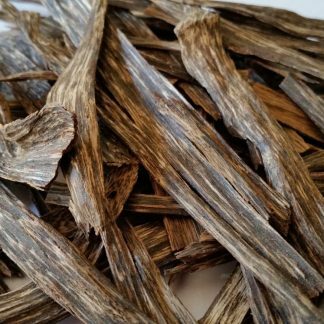 Malinau (north of Borneo / Kalimantan, Indonesia) agarwood is widely known for its quality and scent. 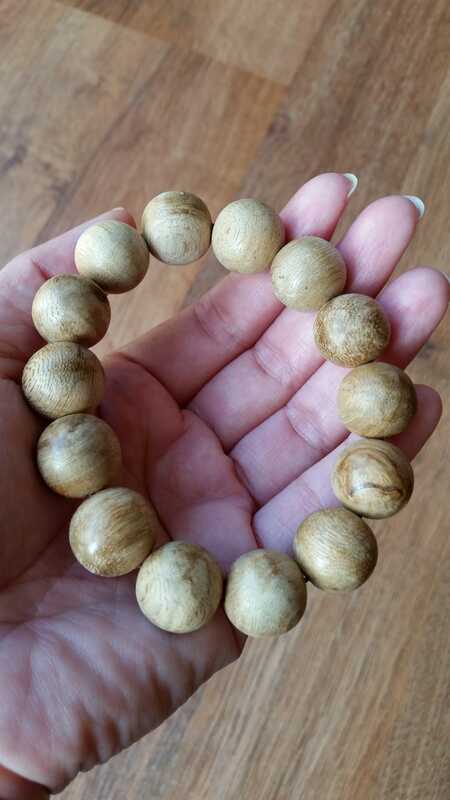 The agarwood beads are naturally aromatic. 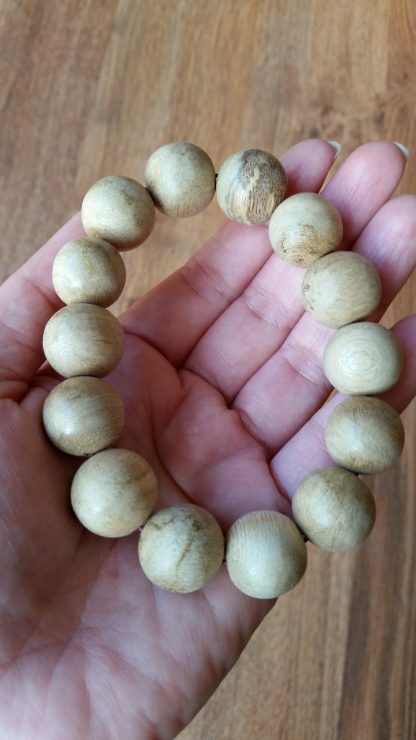 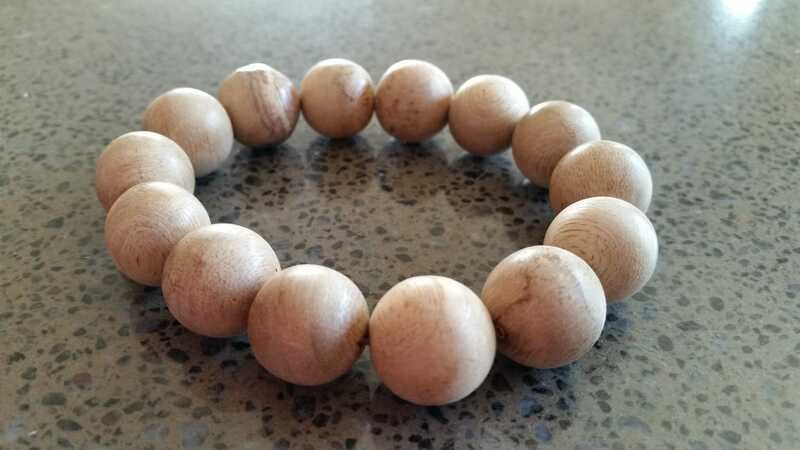 Agarwood beads are believed to attract good and positive energy, thus can improve health and luck. 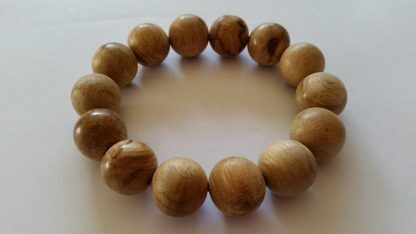 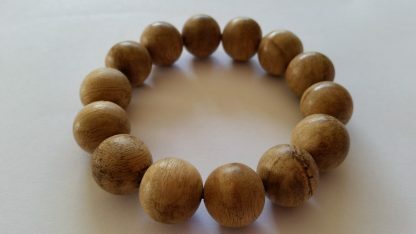 If you wear the agarwood bracelet everyday, after about 1 year, the beads might look more shiny and polished, darkened in colour. 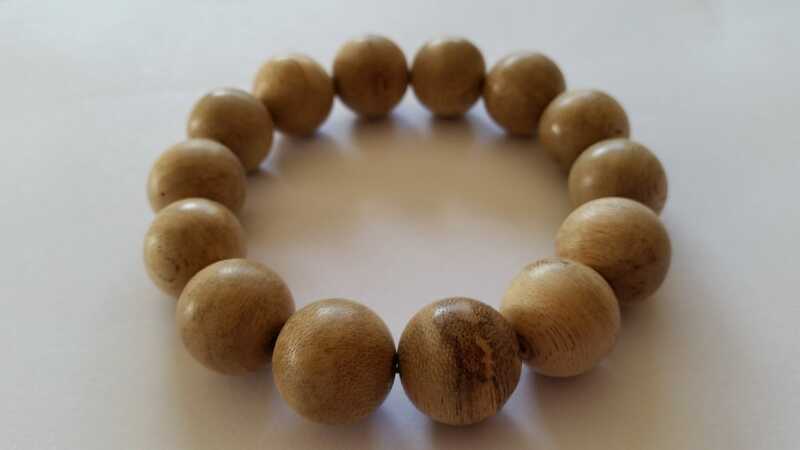 Please avoid soaking in water for a long period, wearing it in shower and bath. 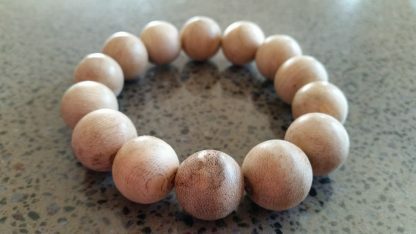 These might cause cracking when the beads dry. 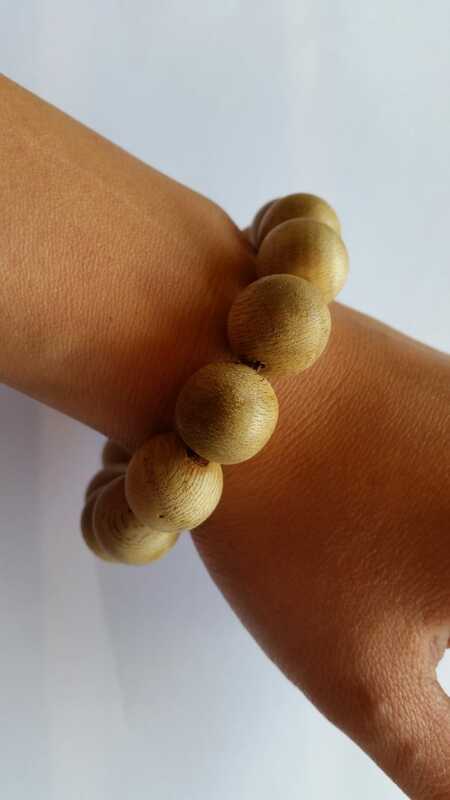 If you wear lotion or perfume, the beads might absorb those substances due to its porous nature. 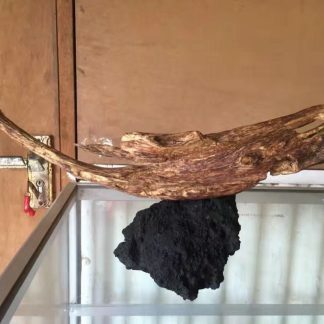 It will also change the aroma, and the change will be permanent. 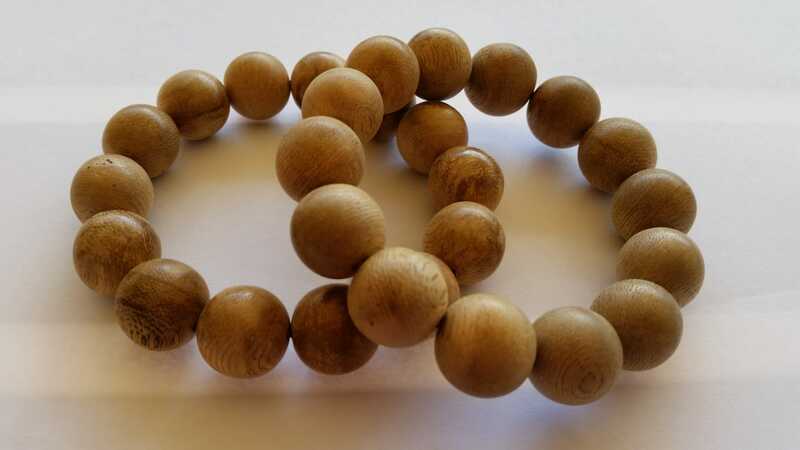 These beads are porous, so you need to be careful of anything of liquid nature, including sweat. Normal sweating is generally okay, but excessive sweating might damage them, as soaking in water would. 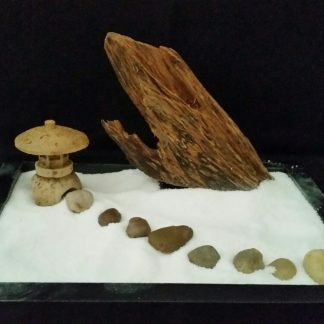 Regular cleaning and polishing with soft cloth is needed, and please store it in an airtight container with moisture absorber when not in use, away from light.